It has been more than a full year since Marvel Studios President Kevin Feige promised comic book fans that Doctor Strange would be a part of the Marvel Cinematic Universe's Phase Three, but only now is the studio starting to make some major headway on the project. While Edgar Wright's Ant-Man is deep into the casting phase and getting ready to start production in a few months, The Hollywood Reporter has learned that executives from the studio has begun meeting with potential filmmakers to helm the movie. Much like Andrew Stanton and Brad Bird before him, Andrews may be the next filmmaker to move from Pixar to the world of live-action filmmaking. Andrews has been working in the industry since the mid-90s and first got serious attention as a director when he made the 2005 Pixar short One Man Band, but the biggest title on his record is the Academy Award-winning Brave, which he both co-wrote and co-directed. Hailing from Denmark, Arcel got a lot of attention for scripting the original Swedish adaptation of The Girl With The Dragon Tattoo, but his biggest claim to fame is the 2012 film A Royal Affair, which he directed and co-wrote (and earned an Academy Award nomination for). Unlike the other filmmakers listed here, Israelite doesn't have a long-established track record, but what he does have is a promising potential future. 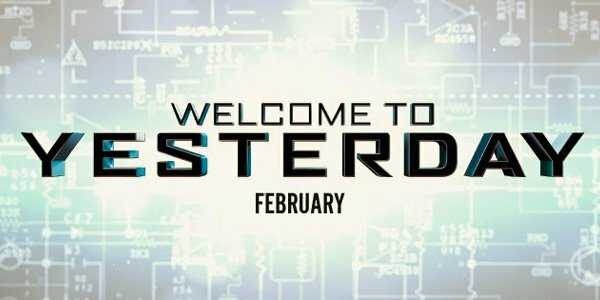 He is currently hard at work over at Paramount Pictures making Welcome To Yesterday, a low-budget time travel thriller with a cast of newcomers. This is personally my favorite choice in the bunch. While his debut film, All The Boys Love Mandy Lane, took nine years to go from its premiere to a theatrical release, the young filmmaker has used that time since to create some truly impressive features, including The Wackness, 50/50 and, most recently, the rom-zom-com Warm Bodies. The studio has already hired the writing team Jon Aibel and Glenn Berger of Kung Fu Panda 2 fame to pen the script for Doctor Strange, but apparently the studio is on the look out for "a writer and a filmmaker to work in tandem" or a writer director a la Joss Whedon. As of now it's hard to say exactly where the project sits on the Marvel Cinematic Universe timeline, as the project doesn't have a release date yet (it could be the first Marvel film following Ant-Man in July 2015 or it could be the last movie before the inevitable The Avengers 3. Provided its able to get off the ground, the Doctor Strange movie will be the first time that the character has appeared in a theatrical live-action feature since his creation by Stan Lee and Steve Ditko in 1963. The character's classic origin story began with the future hero as a cocky, selfish surgeon who tragically damages his hands in a car accident. Traveling the world to try and find a way to fix his handicap, he ends up in Tibet where he winds up saving a man known as the Ancient One from one of his diciples, Baron Mordo. He winds up becoming a master of magic and uses his powers to stop the evil of the world. Of the filmmakers above, who would you like to see get the chance to make a Doctor Strange movie? Let us know what you think in the comments below.